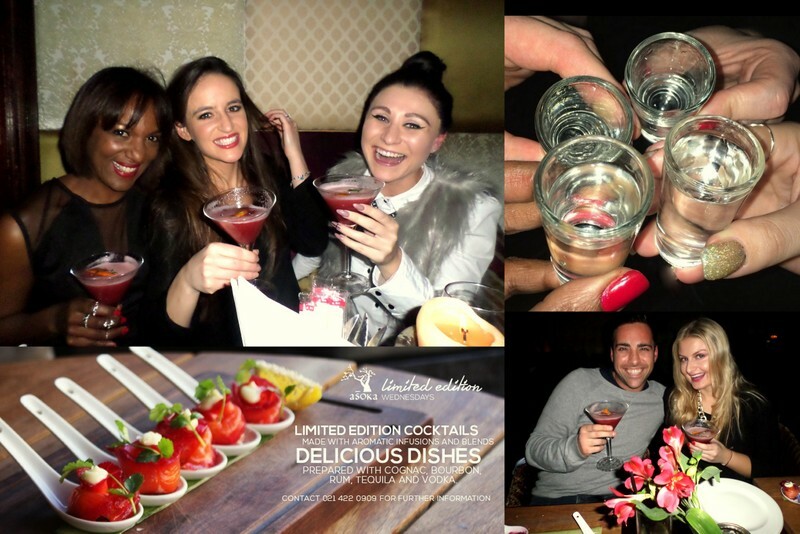 I was invited to pop in last week Wednesday’s by Asoka’s lovely Mel Hinrichsen to try the Stoli vodka menu along with Ritza from Luxo, Clouds from AndLollipops, fashion designer Rachel and model/actor/Clouds’ new crush Devon Currer. I brought Dev along to replace another boytjie who’d dropped out at the last mo and provide male company for Luxo’s Elrico who also ended up not being able to come. Thus, poor Dev ended up trapped in a world of terrifying chica convo involving eyelash extensions, the shagability of James Spader, spider veins and cellulite. To be fair, he actually managed pretty well but mostly ‘cos Asoka’s Mel Heinrichsen kept plying our table with Stoli vodka shooters. But ja… let’s get back to the menu, shall we? We kicked things off with a starter that consisted of five spoons of vodka and beetroot salmon spoons served with lemon aioli. When it was first put down on the table, I thought we were all getting one spoon each and then realised it was five for everyone. Yayness! And a very, very good thing ‘cos it was utterly delish. If you’re a sushi fan and big into salmon roses like I am, this is going to impress you. Yum to the power of five, yo! This was paired with a Burned orange and rosemary cosmo (made with Stoli vodka, but of course) and honestly folks, it was the nicest bloody drink I’ve had in ages. Mel says it’s probably going to become a permanent part of Asoka’s menu and when that happens you can expect to find me there on Friday’s, possibly blacked out under a table but with a big smile on my face. Just don’t steal my blerrie cell phone while I’m out, okay? I’ll need it to call a taxi when they switch the lights on. 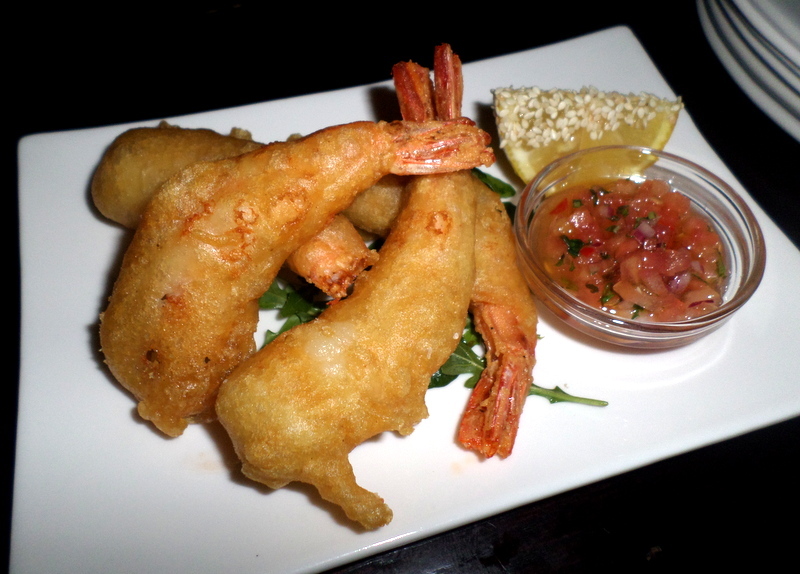 As for the main course, this was a plate of butter soft, impressively large prawns all dressed up in crispy tempura batter and served with a vodka-infused tomato, basil and chili dipping sauce. Very, very nice! These babies literally melted in your mouth. For dessert, we all got presented with a huge strawberry-topped vanilla panna cotta that was served with a shortbread wedge. Everybody agreed that this was the business and Dev was in second heaven as shortbread is his fave thing in the world next to boxing and bacon. Cocktail-wise, this was paired with a super sterk Very Vanilla martini. And when I say sterk, I mean it could’ve easily stripped the gelish from my fingertips. Fortunately, Mel managed to tame it with a generous squeeze of lime and then it went down the hatch like a dream. I still preferred cocktail nommer een though. In fact, just writing about it now is making me want one with a passion of a thousand fiery suns which may or may not be a good thing, considering it’s not yet 11am. 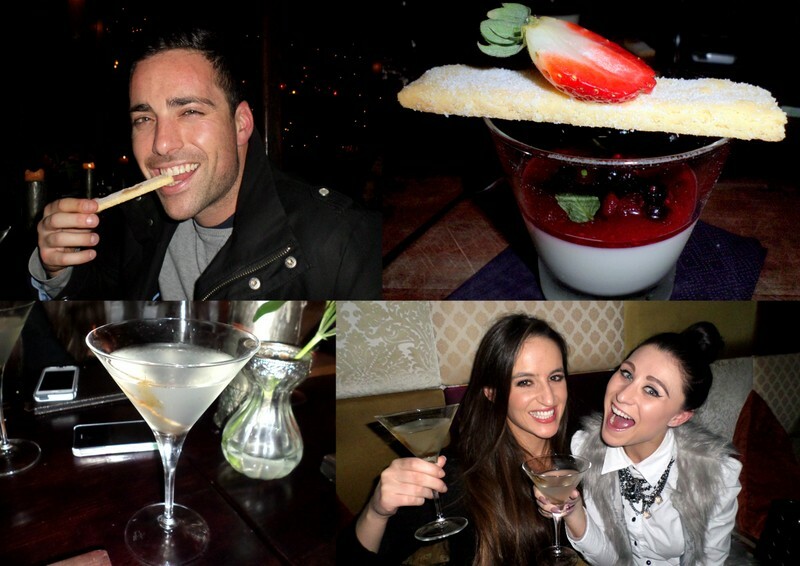 Thanks Mel, this was a seriously fun (and delicious) evening out. 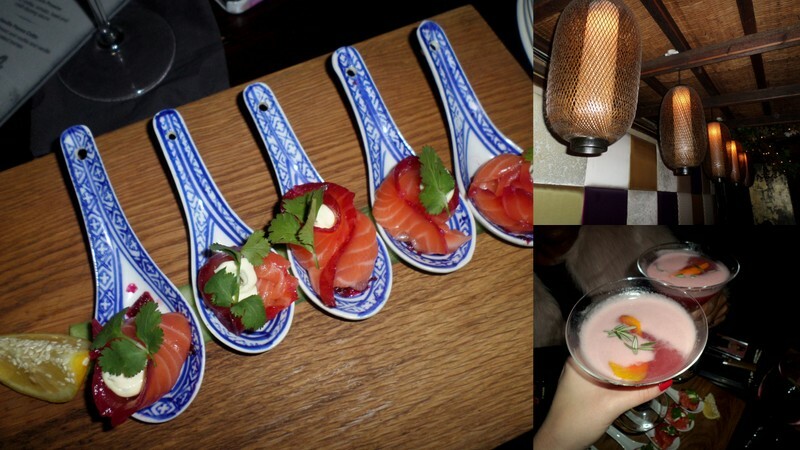 For more info on Asoka’s special, visit their Facebook page or give them a ring on (021) 422 0909. Dinner bookings are essential.